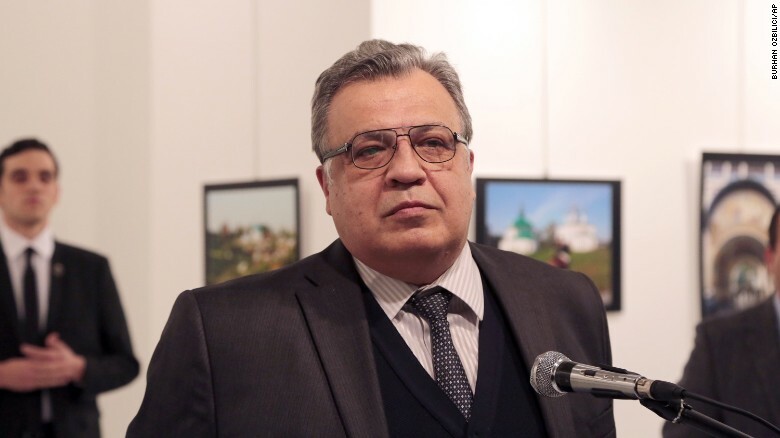 Andrei Karlov, the Russian ambassador to Turkey was shot dead earlier this evening as he attended the opening of an art exhibition in the Turkish capital Ankara. 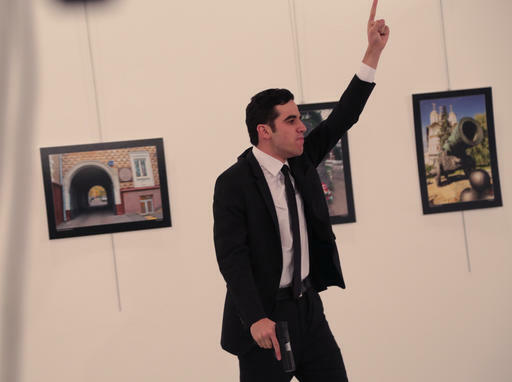 The gunman, smartly dressed in a suit and tie opened fire on the ambassador as he was giving a speech, shooting him eight times. Mr Karlov died of his wounds at the scene, with his death being later confirmed by the Russian foreign ministry. Ambassador Andrei Karlov, pictured just moments before his fatal shooting. The unnamed gunman made a statement in support of Syria. He was later shot dead by Turkish special forces. The gunman has since been named as Mevlut Mert Altinas, a 22 year old policeman who worked for the police riot squad in Ankara. Mr Karlov was 62 years old and had been the Russian ambassador to Turkey since July 2013. Tensions between Russia and Turkey have been high since the Turkish Air force shot down a Russian Sukhoi Su-24 near the Turkish-Syrian border in November 2015, but the two powers had enjoyed something of a rapprochement over recent months despite being on opposite sides of the Syrian civil war. Russia has supported the Syrian government since September 2015, with Turkey supporting the anti-government rebels. Both President Putin and his opposite number President Erdogan have claimed that this murder has the sole aim of derailing russo-turkish relations. The Russian government has denounced the shooting as an “act of terror”.